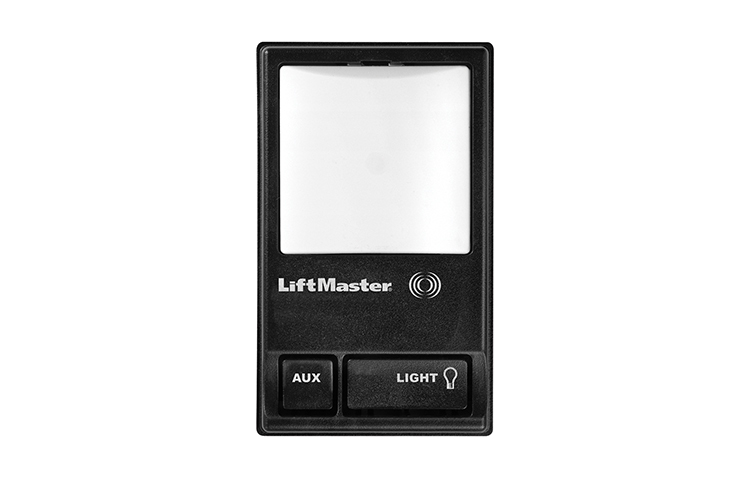 Specifically designed for those who want an extra control panel in the garage, the LiftMaster® Wireless Secondary Control Panel can open and close up to two garage doors, turn opener lights on/off, and can be installed anywhere in the garage that is in the line of sight of the garage door. It is not meant to be a substitute for a wired control panel, however, as the garage door cannot be opened if the battery dies, and remotes cannot be programmed from it. There is also no lock feature to lock out outside remote control signals, or constant pressure to override the garage door opener’s Protector System® in case of emergency.